For the first time, the Kepler space telescope has confirmed two exoplanets in another solar system that are about the same size as Earth. As they both orbit very close to their star, Kepler-20, they are not in the habitable zone, but they are the smallest planets to be confirmed by Kepler so far, a major milestone in the search for planets that are both Earth-sized and in the habitable zone of their stars. Kepler-20e measures 0.87 times the radius of Earth while Kepler-20f is about 1.03 times its radius. Because they are so close to their star however, they are very unlikely to be habitable, enduring scorching temperatures much like Mercury in our own solar system. They are part of a five-planet system approximately 1,000 light-years away in the constellation Lyra. The other three planets are all larger than Earth but smaller than Neptune. The arrangement of the planets in the Kepler-20 system is unusual, where they alternate in size, rather than having the smaller planets closer to the star and the larger planets farther out like in our own solar system. The holy grail is to find Earth-sized planets in the habitable zone of their stars. These planets are the right size, but too close to the star. Earlier this month, the confirmed discovery of exoplanet Kepler-22b was announced, which is in the habitable zone of a Sun-like star (and the smallest one found so far in that zone of any star), but is probably too large to be rocky like Earth and more like Uranus or Neptune although its exact mass isn’t yet known. 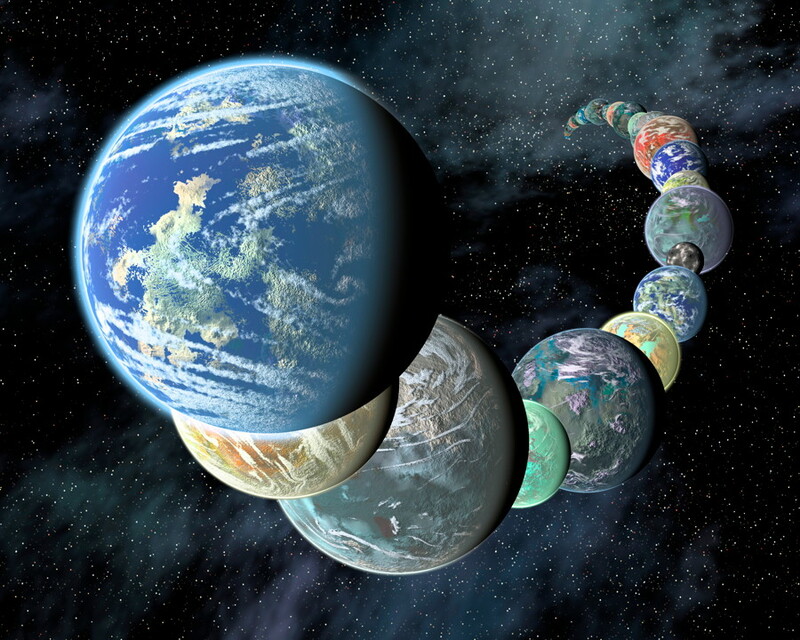 So far, Kepler has discovered 2,326 planetary candidates and 33 of those are confirmed. The vast majority of the remaining candidates are expected to be confirmed over the next months and years.